Brighton Ford has demo vehicles with special offers, but this one takes the cake for the best deal of the year! Lease a loaded up 2018 Explorer XLT for only $335/mo. 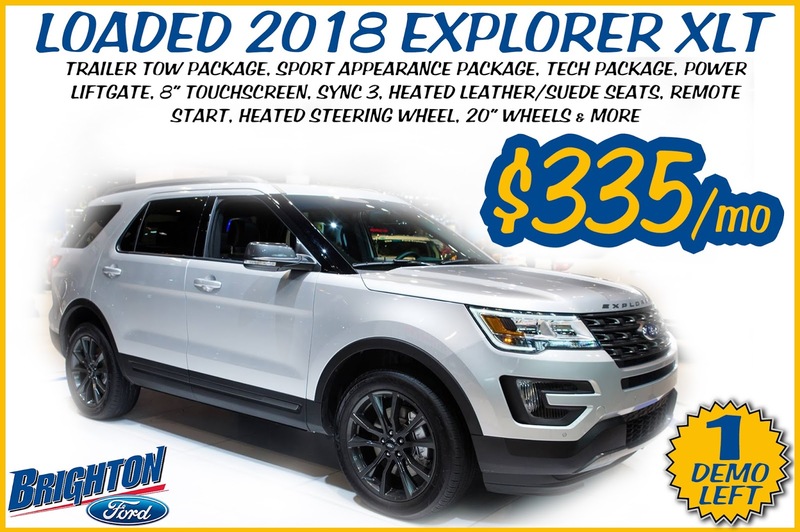 We only have one Explorer demo vehicle left for this amazing deal, so be sure to stop in or call our sales manager at 810-227-1171 before this new Explorer sells, as it won’t last long at this price!